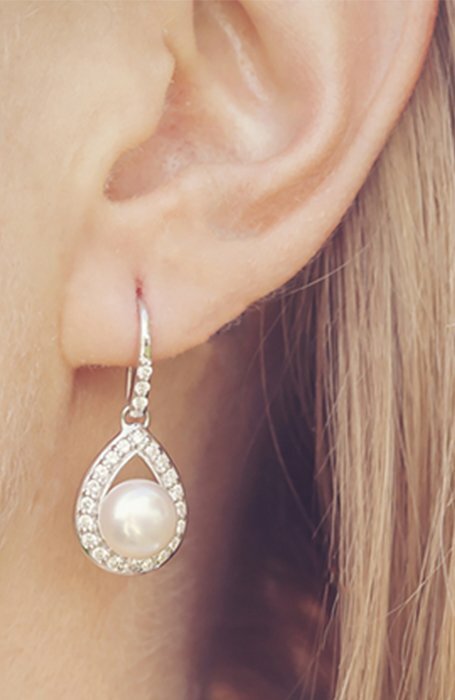 Ear piercings are one of those fashion trends that will never go out of style. A little bit of ear jewellery never goes astray when it comes to creating a fashionable and unique ensemble. But with so many ear piercings out there, things can get a little confusing. No longer do people have one piercing in each ear. These days, you can have upwards of five in each! If you’re considering getting a piercing and aren’t sure which one you’re after, our expert guide will help you find what you want, and make you sound well-versed in all the piercings that exist. Before getting an ear piercing, it’s important to do your research, so you know exactly what you’re after. 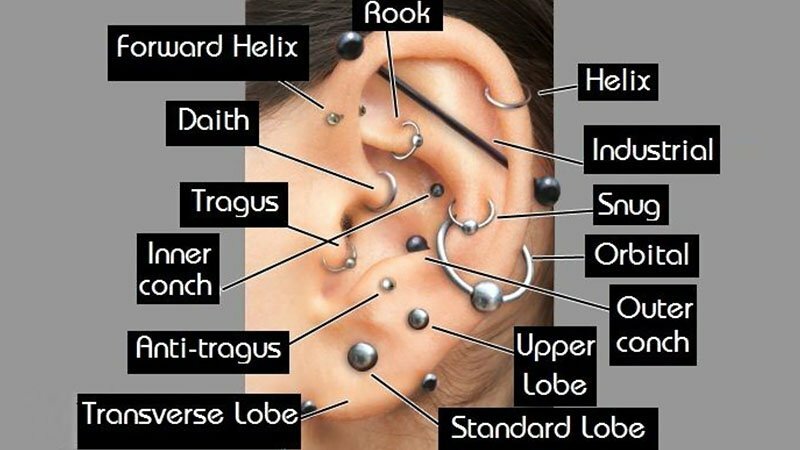 Read on to find out about all the different types of piercings you can get. An industrial piercing is sometimes referred to as a scaffold, bar or construction piercing, is a double perforation of the upper ear cartilage. 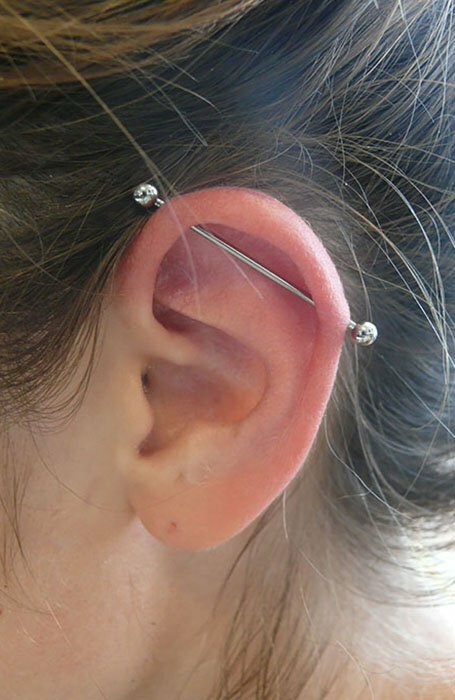 If you’re looking for an eye-catching piercing, then the industrial piercing is the unique one on the market. 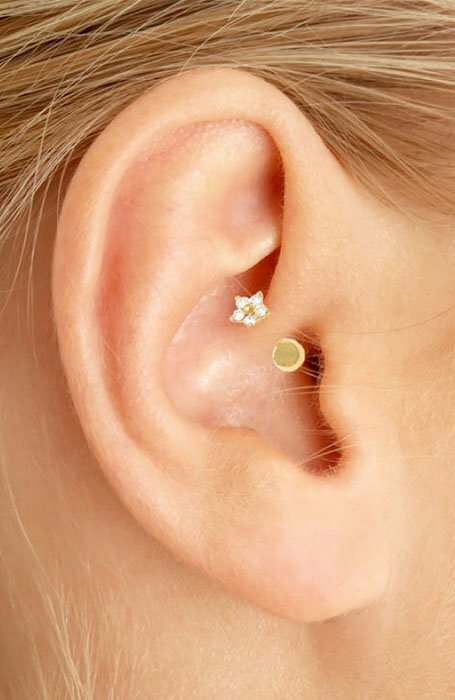 As the name suggests, a lobe piercing is a piercing in the earlobe. Being in the fleshy, bottom part of the ear, it is one of the least painful to get. Lasting approximately six weeks, the healing time is also one of the quickest. This piercing is very versatile once it is healed, so feel free to experiment with different styles! The possibilities are endless. 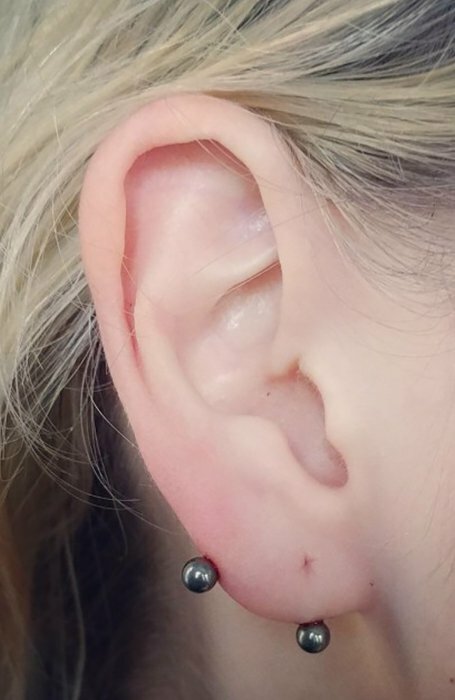 Transverse lobe piercings are a modern take on an old classic. 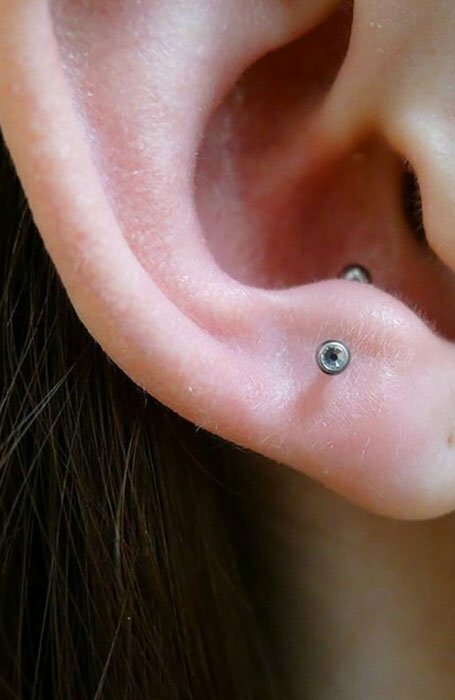 With this piercing, a barbell runs horizontally through the earlobe rather than from the inside to the outside. The angle of the transverse piercing is dependent on the shape and size of the ear lobe. The only disadvantage to this piercing is that it often takes longer to heal compared to other types. This also means that a transverse piercing runs a higher risk of infection. If an ordinary piercing isn’t enough, why not up the ante with a cartilage piercing. This type of piercing is a particularly popular choice for both men and women. For most people, getting the cartilage piercing done isn’t bad at all. The hard part is the first two weeks after getting it done, where you can expect some mild pain and discomfort. But after that’s all done, you’ll be just fine. An orbital piercing is defined by any two piercings that are connected by one piece of jewellery. It is typically done in the lobe region of the ear. 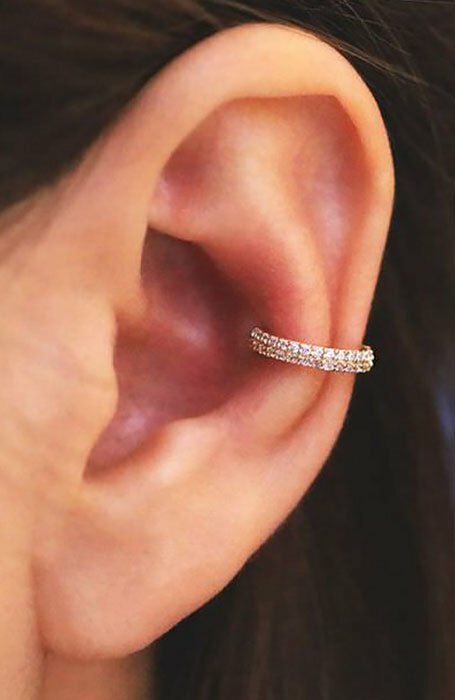 Spunky and stylish, the helix piercing is a cartilage piercing which sits on the upper section of the ear. 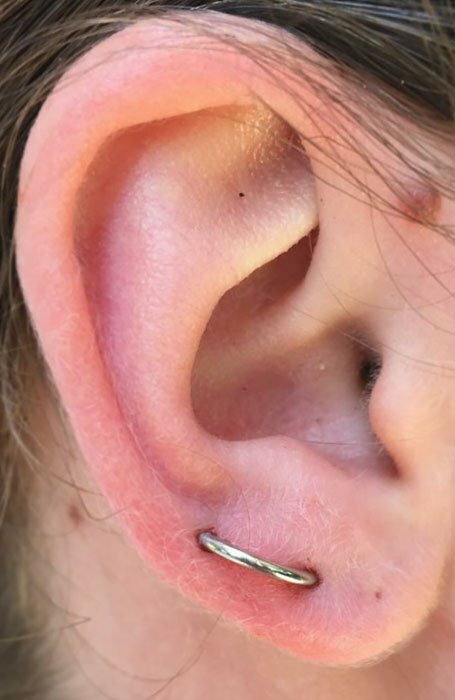 This piercing ranks low on the pain scale as it is done using a small needle. 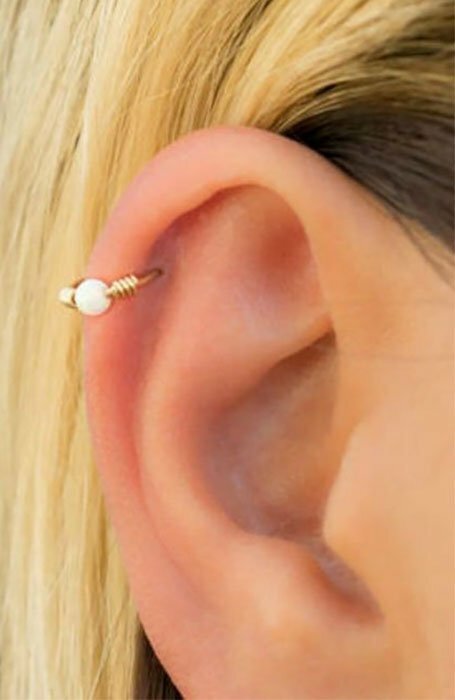 Typically, you will notice barbells are used on this type of piercing. However, you’re free to use whatever you like! The difference between a forward helix piercing and regular helix piercing is the location. The forward helix piercing sits lower down the ear, near the root of the helix. 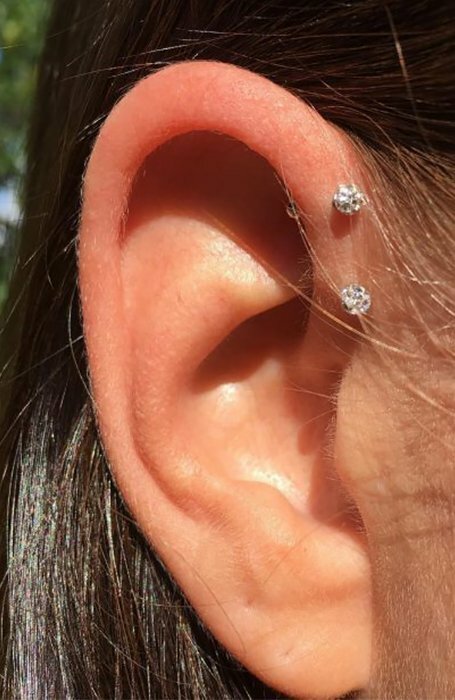 Popular jewellery of this type tends to include studs, for the most part, though forward helix piercings can be used with a range of different jewellery. A daith is the hoop that hugs the cartilage inside your ear. What’s best about this type of piercing is that it is surprisingly versatile and suits most people. 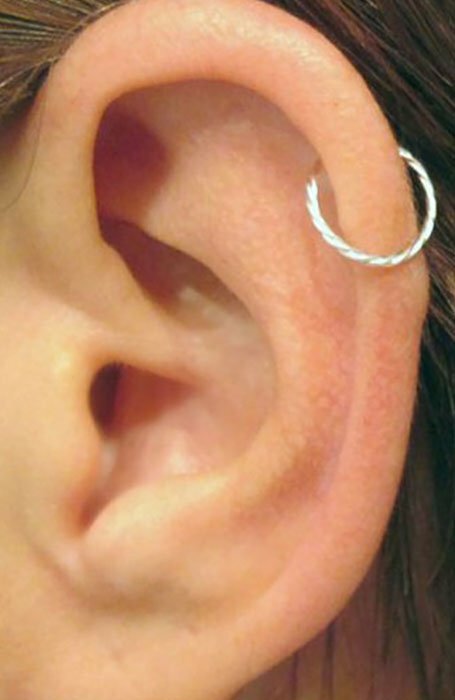 Some even believe that the daith piercing can help ease anxiety-related migraines! The tragus piercing is very versatile and looks good with a number of jewellery styles. However, it can be quite painful to get depending on the size of your tragus, the part of your ear in front of the ear canal. The anti-tragus is a type of cartilage piercing done just above the lobe. It is actually fairly similar to the tragus piercing in regard to its characteristics, despite its name. 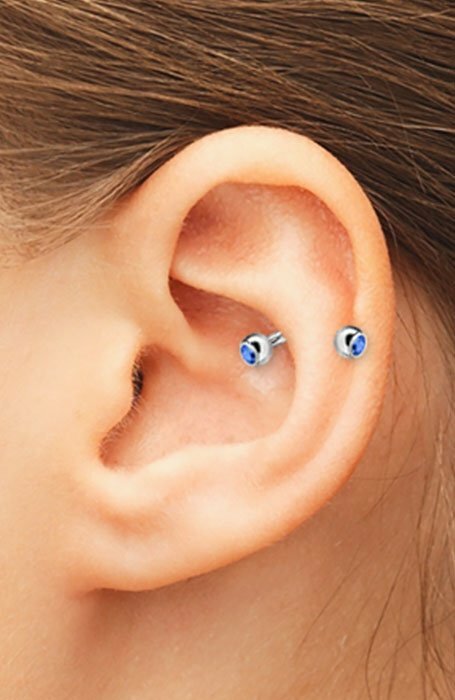 The snug piercing is situated in the inner cartilage, down near the ear’s outer rim. 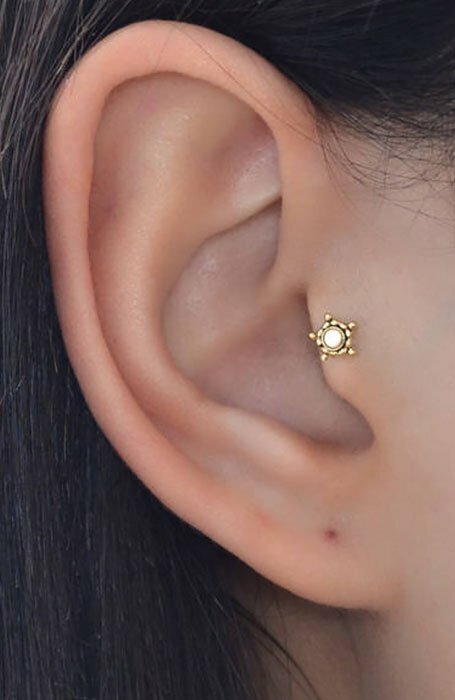 If you’re after something unique, this piercing is one of the most distinctive you can get. Being such a shallow location, you’re likely to use micro jewellery. The eye-catching conch piercing is a type of cartilage piercing which can be of the inner or outer variety. However, it can often cover both. The name of the piercing was derived from this section of the ear which resembles conch seashells. 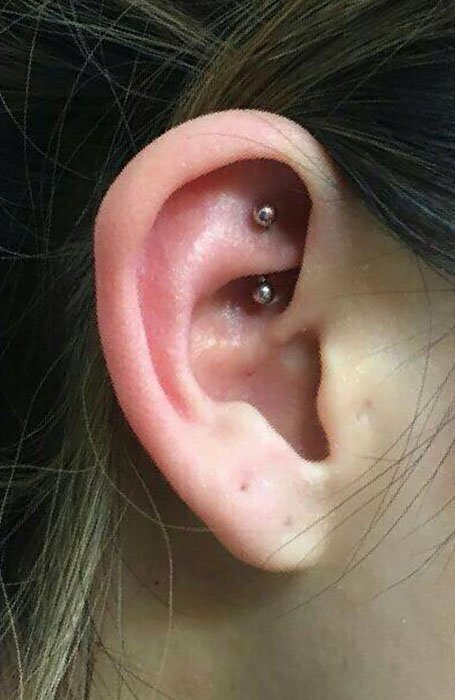 A rook piercing is done near the inner ridge of the ear cartilage, parallel to the outer rim of the ear. This distinctive, impressive piercing is a prime example of how creative piercings have gotten over the years.